Ask a question, request a quote or check recovery status. Call us. We are ready to help you recover your data 24 hours/day, 7 days/week! Hard Drive Recovery Group has established flat-rate hard drive recovery and data recovery service prices that are based on average labor and material costs as well as the type and level of data recovery. Flat rate data recovery services costs translate to consistent and affordable pricing for you, the customer. Believe us, you don't succeed in the data recovery business for almost 30 years without the industry's most consistent and affordable hard drive recovery clean room costs. Let us help you troubleshoot your problem. Request a free evaluation here. It has been called to our attention recently that some competitors are claiming that "some data recovery companies charge $1 per GB to recover data". The idea, obviously, to make you think that your 1TB drive will cost $1000 to recover. 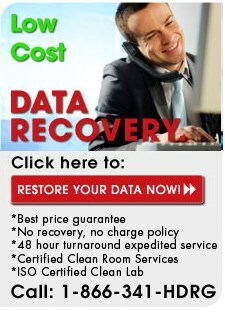 This is blatantly false, as absolutely NO reasonable data recovery company charges "per GB recovered". This is a patently ridiculous claim, but if you do run into a company with this kind of "per gigabyte" data recovery cost scheme, avoid them and you will save not only time, but a lot of money. First of all, it's important to note that data recovery prices are typically based on "labor time spent", much like your car's mechanic. So while a $100+/hr in-lab fee is very common in the industry, any hard drive recovery pricing scheme that would charge by the amount of data recovered is either a complete fraud, or in this case, made up. If you found this page via Google, it is likely because our reputation for competitive hard drive recovery costs precedes us. We ensure every one of our data recovery cost estimates is clear, easy to understand and rock solid (no strange hidden fees here). We always do our best to provide you with the lowest and most affordable hard drive recovery price. Got Two Minutes For An Exact Data Recovery Cost Estimate? HDRG's data recovery engineers can evaluate, diagnose and estimate your data recovery in the time it takes to read this page. If you're looking for the best buy on data recovery, you've come to the right place. Plus, we're one of the only shops in the industry to have engineers on call, 24 hours per day, every single day of the year. 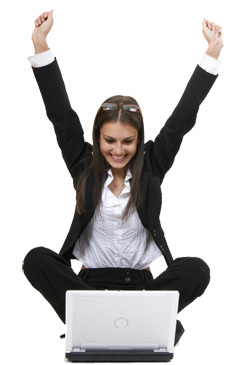 So you get an exact price estimate quickly, and the free technical support you're looking for. Ok, so let's say you have deleted a file and can't get it back... This is the kind of data recovery that almost any computer repair shop can do. Typically, it just involves downtloading an inexpensive data recovery software program (like the one noted below), and then a quick recovery. No harm, no foul. In some cases (particularly with repeat clients), we will even provide this service free of charge. Suffice it to say, a typical file undeletion service is easy to provide, and not an issue for a hard drive recovery company that is used to far more complex recovery jobs. So here's our high-end example: Let's say your house has flooded. Let's also say that your important files were saved on a hard drive in a computer, in the basement. Let's also say that the system was powered up when the flood began, and the water shorted out your computer. This is a more difficult repair situation that may come with higher hard drive recovery costs. You're going to need a professional for this, and not just a "local computer repair guy". This job will require a hard drive recovery service with a clean room. Like, as an example, your friends at Hard Drive Recovery Group. Take a minute to call our friendly technicians directly at 1-866-341-4374 (no voicemail here!) or fill in our quote form here, and once we have a good idea of the problem at hand, we can typically provide you with a quick, solid data recovery price quote. We ALWAYS give you a written quote before you send us your drive or media. Our customers have found this to be an extremely valuable and time saving, as they know what to expect up front. If we don't recover your data, we don't charge. There is one question you probably should ask yourself: are you sure you have an actual physical hard drive failure? If you are just looking for a couple of deleted files, have had some partition corruption or think your hard drive is fully intact and just not working right, software may do the trick. While we naturally prefer that you call us before you do anything rash (in cases of physical hard drive crashes, software can actually damage the hard disk platter and make recovery much harder), if we have to recommend a data recovery software, it's got to be Stellar Phoenix, no doubt about it. We RARELY recommend software products (simply because they are frequently the SOURCE of further destruction to a damaged hard drive), but this one is pretty decent, and does a good job with simple partition reconstruction and file recovery. At Hard Drive Recovery Group, we're confident that we can recover data from whatever drive or media you send us. In fact, 98% of the time, our client's data is fully recovered via either hard drive recovery software or hard disk repair. However, as an additional guarantee, be assured that if we do not recover your data, we will not charge you a fee. It sounds like a simple promise, but many of our competitors still charge unnecessary fees, even when they fail! We do not charge you a fee simply to provide you a quote on your hard drive data recovery. Because of our flat-rate data recovery service pricing, it is not a requirement for us to evaluate the state of your equipment in person before contacting you to provide you with a solid cost estimate. Unlike many of our competitors, we use our data recovery experience to calculate cost averages for material and labor to give you truly up-front pricing. Any minimum charge that may apply to your order is included in your successful recovery. Looking for a data recovery price range? Every hard drive recovery situation is different: some require only low cost software to do the job. Meanwhile, some jobs require clean room hard drive repair. 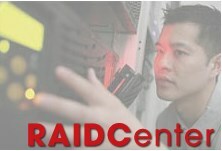 Servers with complex RAID arrays, meanwhile, may require expedited service. No matter the issue, a data recovery engineer should be able to answer your question immediately. Contact us for a free consultation here. Our data recovery technicians will find you the most affordable solution, guaranteed. All material on this website is copyright 1995-2019 Hard Drive Recovery Group. All Rights Reserved.